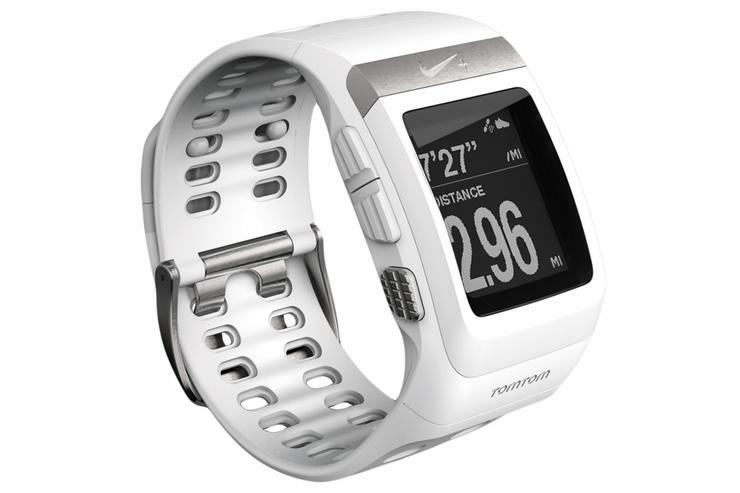 The silver/white variant of the Nike+ Sportwatch GPS. Nike has today announced that its Sportwatch GPS device — a joint collaboration with GPS manufacturer TomTom — is now available in a white and silver edition. The addition of the white and silver edition of the device brings the Nike+ SportWatch GPS colour variants to five in total. The fitness watch was first released in Australia in May last year but was only available in a single anthracite/volt yellow colour. Three new colours were added later including black/anthracite, volt green, and anthracite/volt green. Late last year, Nike and TomTom released a limited edition version of the Sportwatch GPS in white and gold. Only 1900 of these variants were produced. 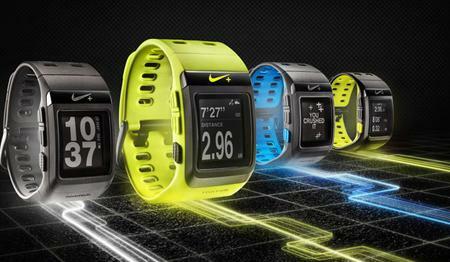 Other colour variants of the Nike+ Sportwatch GPS. The Nike+ SportsWatch GPS is a sports watch with a built-in GPS receiver that measures and tracks time, pace, and distance. During a run, the Nike+ SportWatch GPS displays the distance of a run in a large font, while the top part of the display rotates through various other details including calories, speed, elapsed time and average speed. Users can also mark laps based on a set distance or time by tapping the touch-sensitive screen. The watch works in tandem with the Nike+ service, where users can log running data, set goals and challenges, create a custom training program and share data through social networking services like Facebook and Twitter. The company says its Nike+ service has "approximately 10 million members". The white/silver version of the Nike+ SportWatch GPS will be available through selected retailers in Australia including Harvey Norman, Ryda and Myer stores. It will sell for $199.